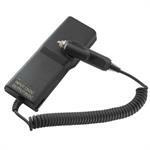 CBE-9008: Battery Eliminator for MOTOROLA HT radios. Enables operation from a 12-13.8VDC socket. Fits STX2500, HT750, ATS2500, GP1280, GP140, GP240, GP280, GP320, GP328, GP338, GP339, GP340, GP344, GP360, MT750, HT1225, PRO5150, & many more. 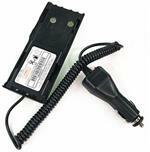 CBE-8923 : Battery Eliminator for Motorola XTS3000, XTS3500, XTS5000 radios. 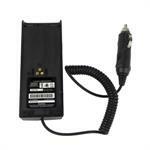 CBE-8923 : Battery Eliminator for Motorola XTS3000, XTS3500, XTS5000 radios. Enables high-watt operation from 12-13.8VDC socket. CBE-7144 : Battery eliminator for Motorola MT2000, HT1000, MTX8000, etc. Plugs into 12-13.8VDC. Provides mobile Hi-Watt TX capability. CBE-7144 : Battery eliminator for Motorola MT2000, HT1000, MTX8000, etc. Plugs into 12-13.8VDC. 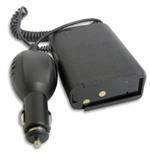 Enables high-watt operation from a vehicle or portable 12V power source. 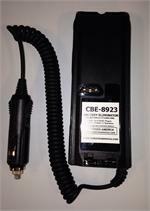 CBE-7395 : Battery eliminator for Motorola VISAR radios. Plugs into 12VDC socket. 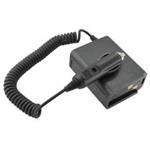 CBE-8148 Battery eliminator for Motorola P110 radios. Provides mobile use from 12-13.8VDC socket. 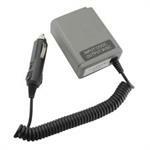 CBE-5447 : Battery Eliminator for Motorola MT1000, HT600, HT800, P200, P210 radios. The CBE-9049 is a Battery Eliminator for Motorola Radius P1225 radios. 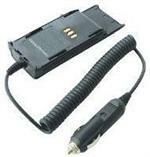 One end plugs into 12-13.8VDC socket; has coiled cord; other end clips onto back of radio. Provides instant mobile/portable high-watt power.